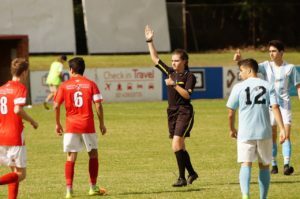 Coledale Waves Soccer Club has given rise to one of Australia’s most promising young football referees. 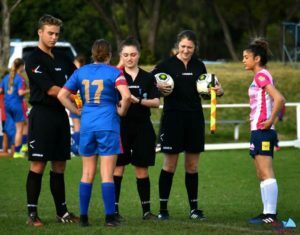 Austinmer’s 17 year old Lottie Cabassi-Powell attends the Football NSW Referee Academy and this year hopes to blow the whistle for first-grade clashes in the NSW Women’s National Premiership League. 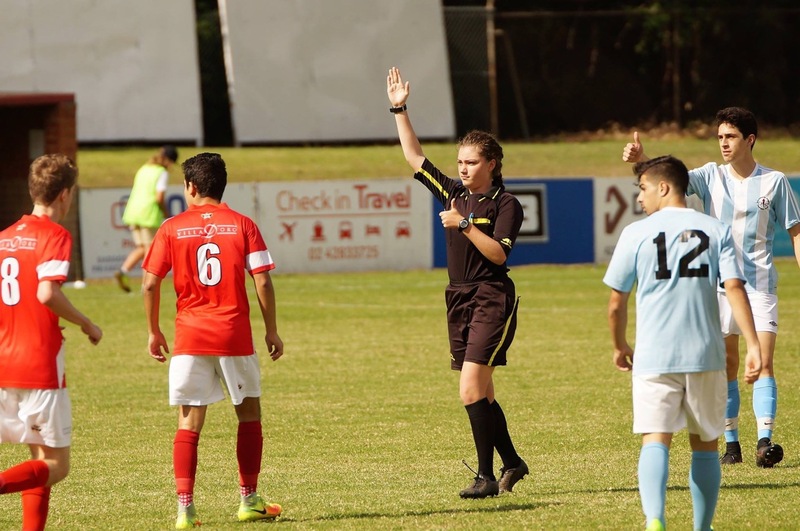 She’s at the pointy end of Australia’s best soccer referees, and she is working hard to make it to the top. Lottie played for the Coledale Waves for 11 years, and says she thought she would always pull on the boots for her local club. “I love Coledale Waves and I love the sport,” she says. “so I started refereeing because I wanted to be more involved. “I started with club games, then Football South Coast put me on some Wolves and rep games, and I was lucky enough to have a lot of support. “I realised that if I put in the effort I could really go somewhere, so two years ago I gave up playing to pursue refereeing. I thought I would be playing until I could no longer walk, but I took a risk and the opportunities have far outweighed the benefits of playing the game. 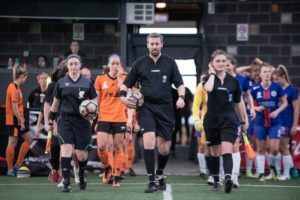 Lottie currently referees some of Australia’s leading female soccer players in the NSW Women’s National Premiership League Reserve Grade, and says this year, she’s hoping to be elevated to the first grade panel. “I’m certainly one of the youngest in the ‘pool’ says Lottie. But being young hasn’t stopped this incredible young woman. “I regularly referee men’s games in the Illawarra,” says Lottie. “I’ve developed a thick skin,” she says. “Because I’ve been a player, I know how the players are feeling and I understand the consequences of my calls. I know they don’t hate me, but they might hate my decision. Currently studying for her HSC, Lottie says she doesn’t often have the opportunity to referee local games.